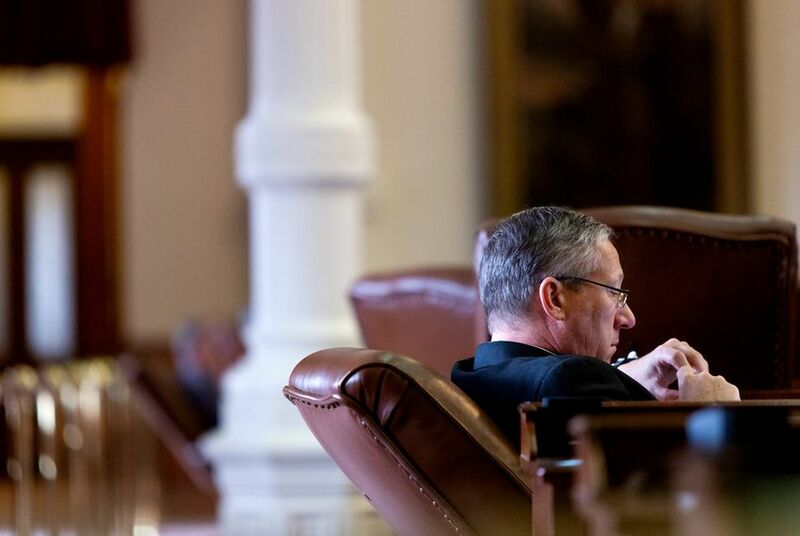 That proposition, from state Rep. Drew Springer, R-Muenster, is the first serious stab at a statewide property tax cut in the current Texas legislative session. But with his other hand, Springer is offering prizes for property taxpayers. Springer says he would give a 50-percent homestead exemption on school property taxes, exempt retail inventories from property taxes and use the balance to “compress” school property taxes by 10 cents — or to 90 cents per $100 property valuation, whichever is higher. Correction: An earlier version of this article misstated a proposal to lower school property taxes; the legislation would compress those taxes by 10 cents, or to 90 cents per $100 property valuation, whichever is higher.